I don’t think I’ve ever told you guys you have to make any of my recipes, but that ends today . . . because I am telling you you HAVE to make this. Since Sean doesn’t like mushrooms (insert eyerolling emoji), and I love them, I decided the recipes that I want to make with mushrooms I will just cook for my lunches instead of for our dinners! 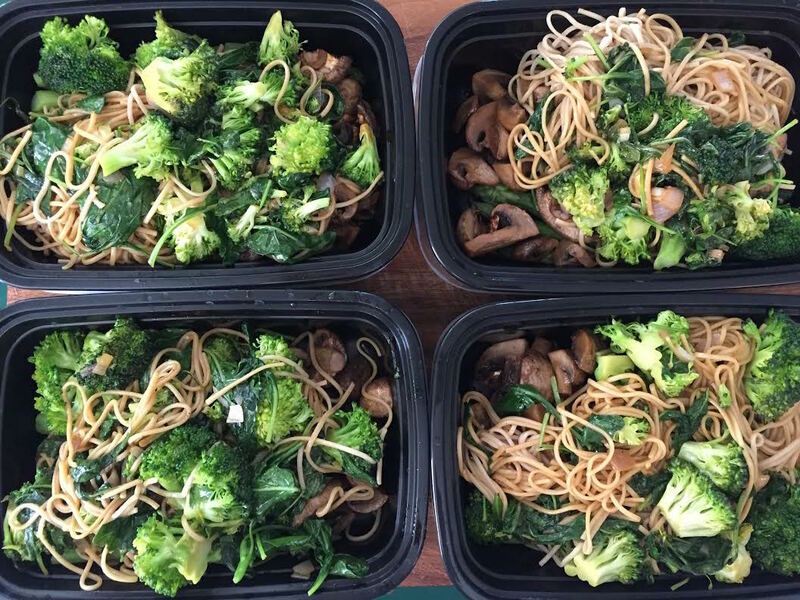 I meal prepped yesterday morning instead of at night and I actually loved the change, although it was a challenge to not try it right away! I will be eating this for lunch through Friday and I could not be happier about that. Posted in UncategorizedTagged #Cook, #Homemade, BellinisToBlooms, Blog, Blogger, BlogPost, DairyFree, Dinner, GlutenFree, Healthy, KristaCooks, Lunch, MealPrep, Mushrooms, Organic, Recipe, SobaNoodles, Vegan, VeganRecipe, VegaTable, VegaTableRI, VegetarianBookmark the permalink.